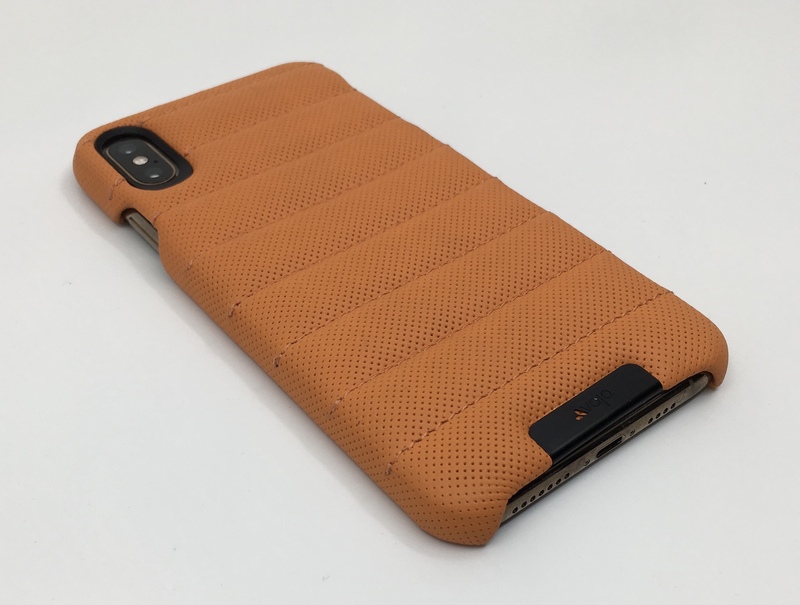 I have reviewed Vaja’s Agenda MG Leather Case for the iPhone X and the Niko Waller-Leather Case and the Leather Back for the iPhone 7 Plus within the last year, so I decided to take a look at some of the company’s other designs after the release of the iPhone XS and XS Max. 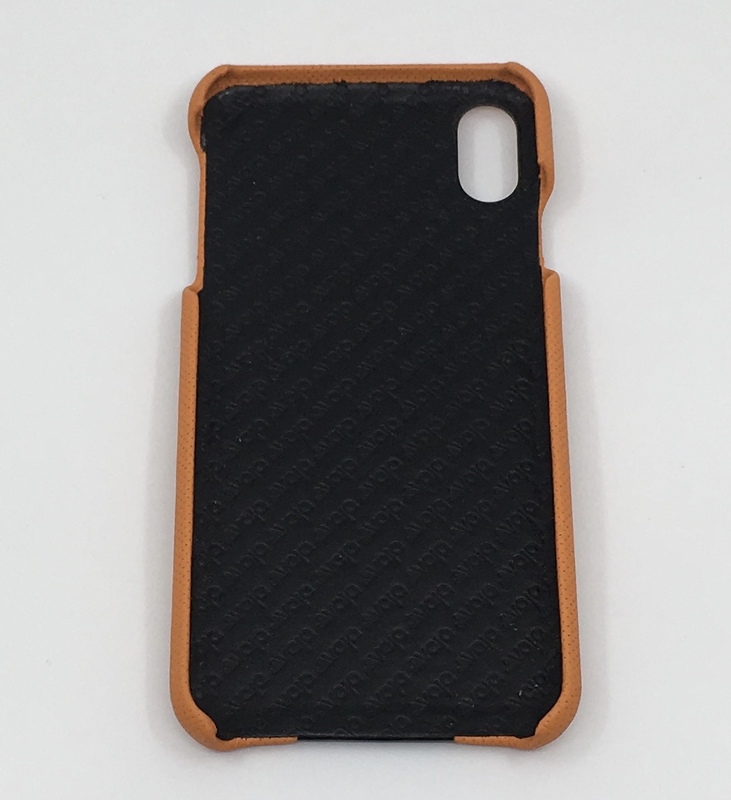 First up is the new Grip Rider case for the current flagship iPhones. If you read any of my other Vaja reviews, you will see that I am a big fan of the high-quality leather that they use. The feel, smell, the grain and texture all just exude quality and fine craftsmanship. However, sometimes a change of pace is a good thing, and that is exactly why I decided to review this case. While it has all the same quality and attention to detail that I have come to expect from Vaja, it is also quite different from any of their other cases that I have tried. The differences are evident from the first glance at the Grip Rider. 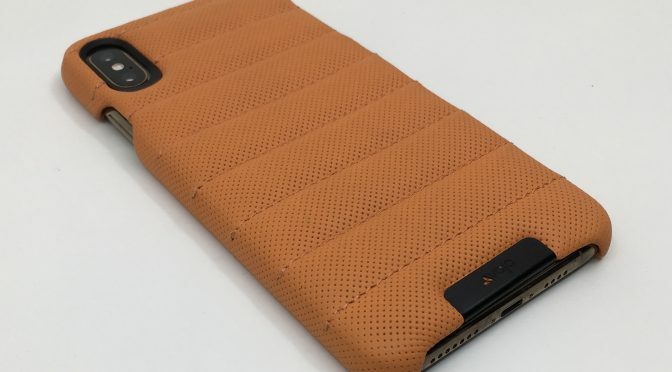 This case has a unique “cushioned” design on the back. The leather is stitched horizontally into padded sections, giving the case a much different look and feel. Different is good in this case, as the softness of the leather and the padding make the Grip Rider feel really good in the hand. Like a fine pair of leather gloves good. True to its name, the ability to grip this case is definitely aided by its design. 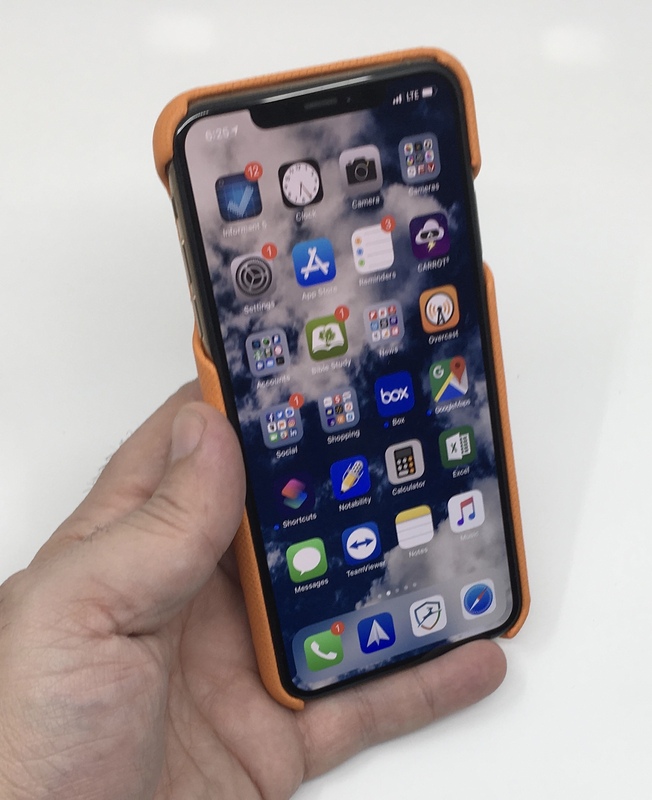 Thankfully, I haven’t had occasion to test the Grip Rider’s resistance to drops, but the design’s cushioned back should also give the iPhone some additional protection when you need it. The rest of the design is the same as Vaja’s other Grip cases, offering a lightweight and minimalist design. 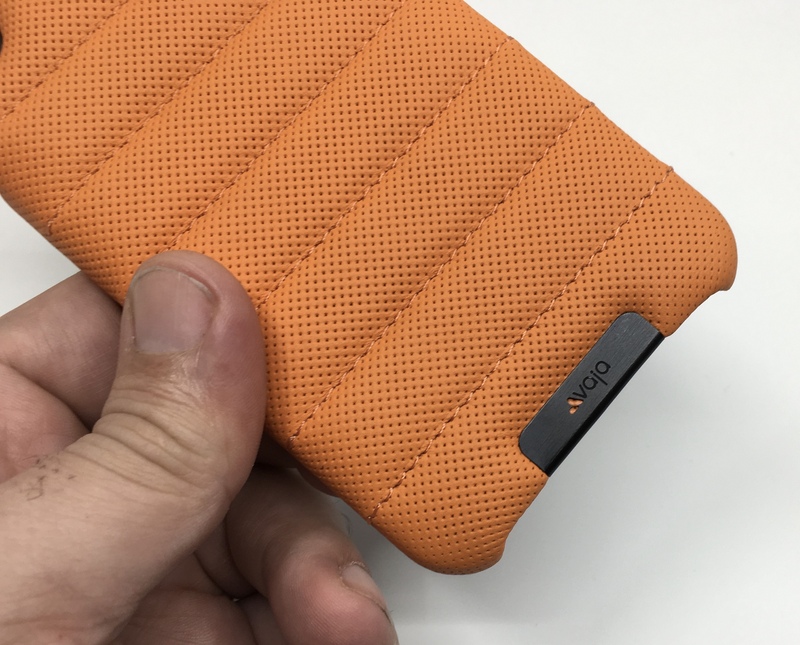 The case has a polycarbonate frame wrapped in leather and stitched tight at the seams and corners. All of the ports and buttons are exposed by openings in the top, sides, and bottom of the case. Again, there is nothing complicated about the overall design of this case. 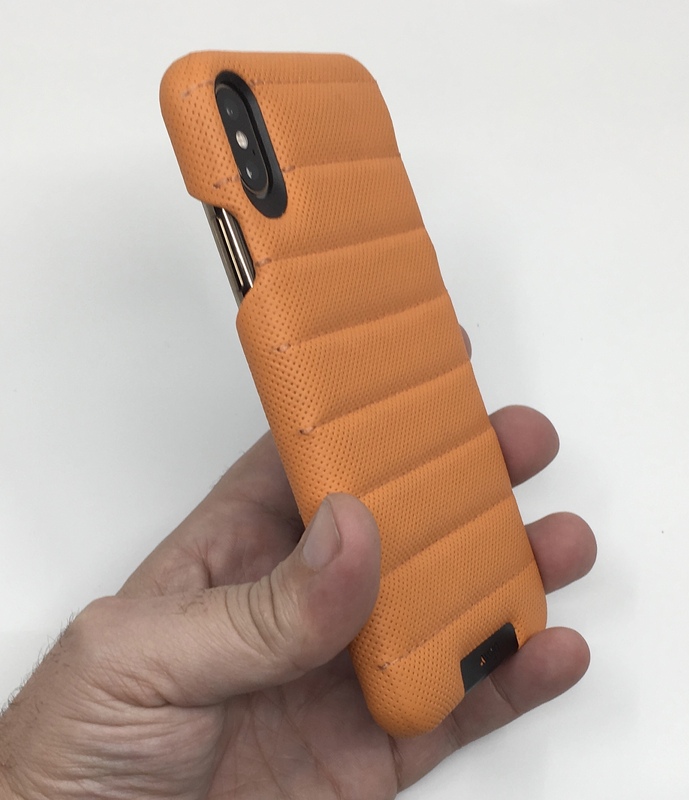 I tested the Grip Rider on my iPhone XS Max, and the lightweight design was a big plus on such a large device. Leather cases can add weight and bulk, but that is not the case here. The Grip Rider not only feels really good in the hand, but it doesn’t add too much extra baggage to an already large and weighty device. Just be aware that this is no Otterbox replacement. If you require more protection, this may not be the case for you. However, if minimal is all you need, then the Grip Rider will do the job. Another unique aspect of the Grip Rider is the way it looks. It is totally unique among Vaja’s products in this regard. I’ve already covered the cushioned design, which definitely looks as different as it feels. However, there is more to this than the basic design. I chose the Amberglow color because it added a little additional flair. The mellowed burnt orange coloring stands out in a good way and suits this design perfectly, in my opinion. 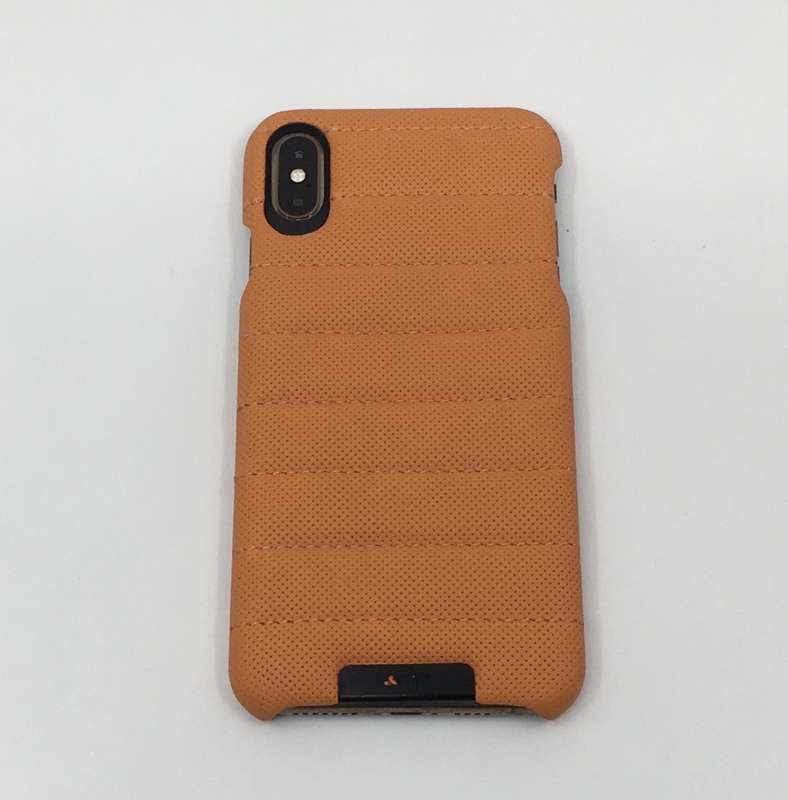 The XS Max is also available in Saddle Tan and Black for a more traditional leather look. The XS version also comes in a shade of red. The Grip Rider also has a “pointille,” or dotted pattern all across the back of the case, which you can clearly see in the photo above. One of the aspects of Vaja cases that I usually love the most is the grain and visible texture of their leather. However, in this case, the pointille pattern obscures the grain, giving the case a more modern and clean look. While this is very different, I think it perfectly fits the design of this case. While I might miss what I am used to a bit, the overall look and feel of the Grip Rider is so good that I don’t mind. Despite the differences, this is still a Vaja case through and through. The Grip Rider comes in the same quality packaging that Apple fans will appreciate. 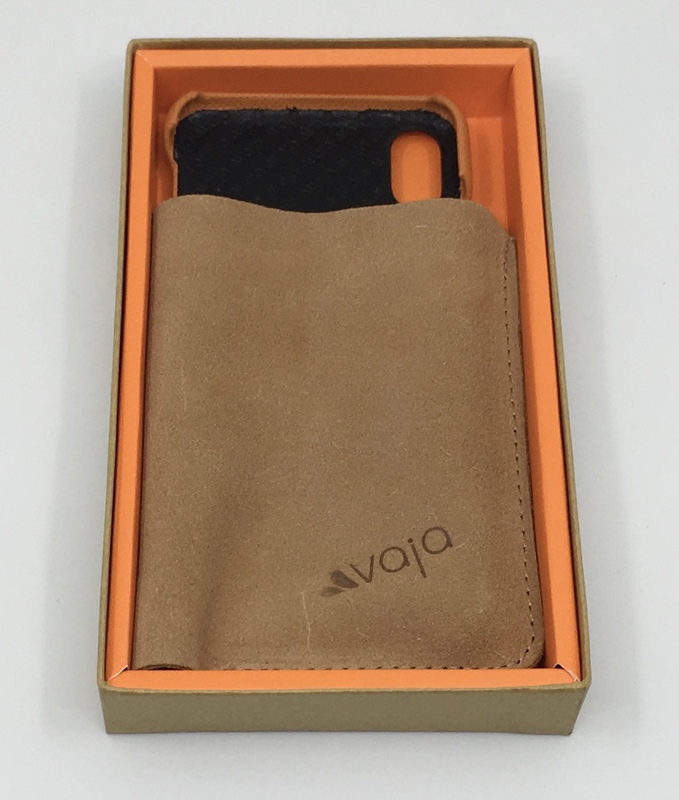 One thing I love about Vaja cases- they come with their own cases made from leather scraps. 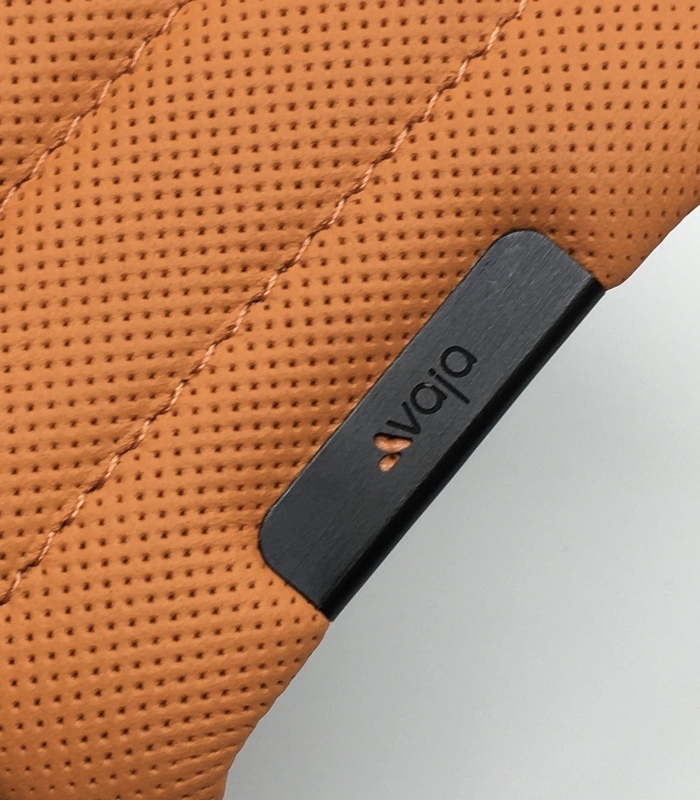 These scraps feel better than a lot of competitor’s actual cases, so its just another reminder that Vaja is at the top of the class when it comes to leather accessories for electronics. Another familiar reminder is the Vaja branding. In this case, we have the logo etched on a black metal plate with the familiar open logo that allows the color of the case to come through. I have always like this design touch. Then there is also the familiar diagonal logo pattern on the inside of the case. I also love the contrast of the black interior with the burnt orange exterior. I knew going in that the Grip Rider would be different than other Vaja cases I have tried. That is the main reason I chose to review it. What I didn’t know is that it would emerge as my all-time favorite from Vaja. 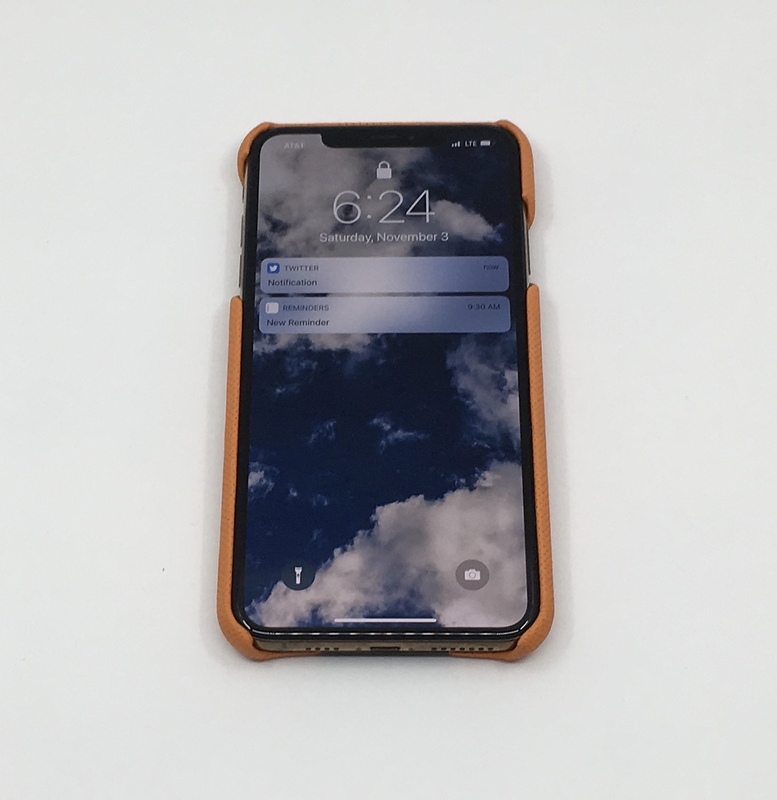 I absolutely love this case, and the only time I take it off my phone at this point is when I need a little more protection at work, or when I have to test something else for review. If you love leather cases but find yourself wanting something a little different, then look no further. Vaja’s Grip Rider is a standout. The Grip Rider is available for the iPhone XS and XS Max for $109. The Grip Rider was provided for review on iPad Insight by Vaja. For further information regarding our site’s review policies, please see the About page.